Well this is the heaviest of all the episodes by far. 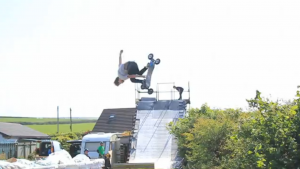 Apparently if you want to learn double backflips in Europe you go to the Maddock’s Compound. There are just to many good tricks to talk about in this episode, so watch it!